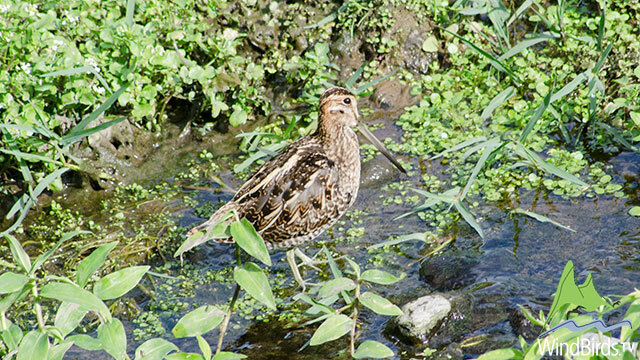 On the 19th and on the 21st of October 2013 a Snipe was observed in Machico river and was misidentified as a Common Snipe Gallinago gallinago. Fortunately Hugo took some photos and made a few videos of this bird as it was showing so well in the river bed and as it is not a common behaviour for this species. 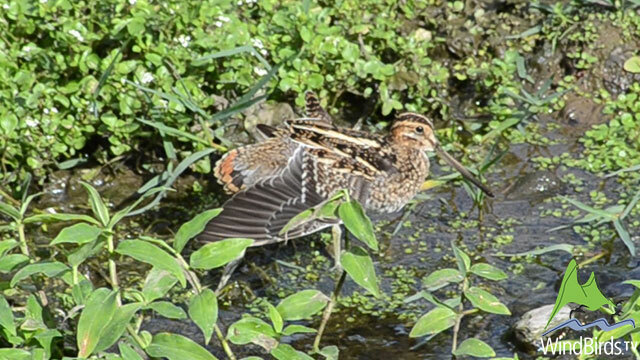 On the 10th of November 2013, Juan Antonio Lorenzo and Rubén Barone who have been watching and Identified the 2 Wilson's Snipe Gallinago delicata in Tenerife, which were 1st record for Canary Islands, contacted Wind Birds in order for us to check better the bird seen and filmed on the 21st of October 2013. And so we did, we checked all photos and videos of the bird to see if we had managed to have a shot of the underwing to see its strongest pointers: pattern of underwing coverts and axillaries. When going through the videos we managed to select the 2 frames shown here and allying the heavily bared sides and flanks to the lack of a whitish panel on underwing coverts, showing instead a uniformly dark-barred underwing, seemed good features to exclude Gallinago gallinago. 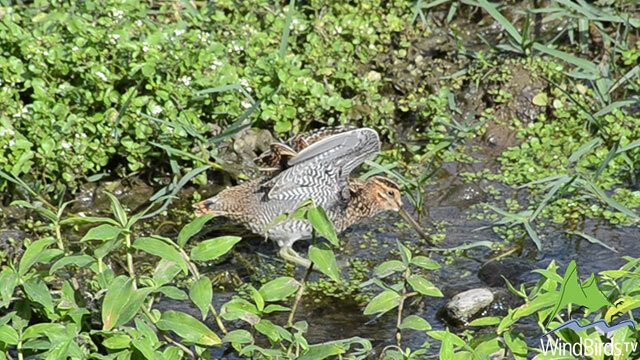 Anyway, we asked the opinion of some friends birdwatchers who all agreed it was a Wilson's Snipe Gallinago delicata and noted a few more distinctive features as the thin white line along the tips of the secondaries, grey flanks and the whitish lines on its back. So, thanks to Rubén Barone who alerted us we re-identified the Snipe seen on the 19th and the 21st of October 2013 as Gallinago delicata, becoming the first record of this species for Madeira Archipelago! Also thanks to Thomas Kuppel, Matthias Feuersenger, Martin Gottschling, Stefan Pfützke and Michael Fricke for their analysis.